In I hunger for you, deeply internalized forces of faith, violence, life force, and compassion pulse through bodies that exist in a mesmerizing, starkly beautiful, often dangerous world. In a world defined by light and its absence, the work looks deeply into the heart of the impulse to lose oneself in ecstasy, ritual, desire, and searching, riding an edge of barely controlled abandon and vibrating stillness. The mission of Kimberly Bartosik/daela is to create viscerally provocative choreographic projects that are built upon the development of a virtuosic movement language, rigorous conceptual explorations, and the creation of highly theatricalized environments. Bartosik closely collaborates with her performers and designers to create work that is deeply informed by literature and cinema, involves complex plays on space, time, and audience perspective, and dramatically illuminates the ephemeral nature of performance. 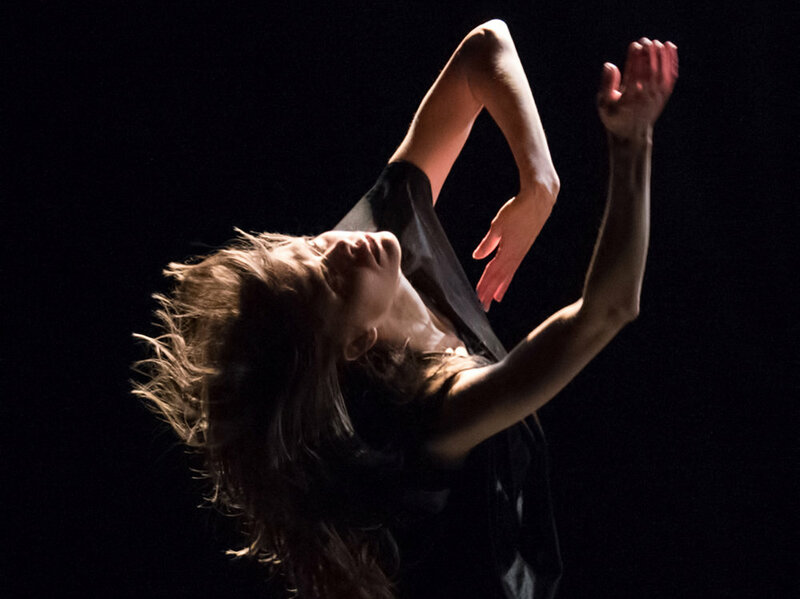 Kimberly Bartosik’s work has been presented by BAM Next Wave 2018, LUMBERYARD, Wexner Center for the Arts, New York Live Arts, Dance Place, American Dance Festival, American Realness, Gibney Dance, Abrons, The Yard, MASS MoCA/Jacob’s Pillow, Danspace Project, Artdanthe, FIAF’s Crossing the Line, Festival Rencontres Chorégraphique Internationales, The Kitchen, and others. She has received funding from MAP Fund; NEFA’s National Dance Project; Jerome Foundation; FUSED; Mid-Atlantic Arts Foundation; NYFA; New Music USA; Foundation for Contemporary Arts, and others. Bartosik is a 2017-20 New York Live Arts Live Feed Residency Artist. She received a Bessie Award for exceptional artistry as a nine-year member of the Merce Cunningham Dance Company.